The cloister of a ruined abbey in Utrecht. 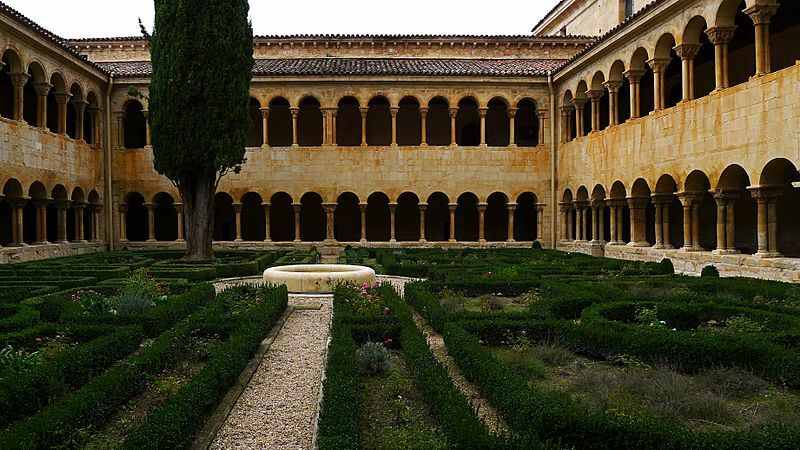 A Cloister is a term in architecture. It describes a structure which is usually found in monasteries, churches and old colleges. It is a rectangular open space surrounded by covered walks or open galleries. It has open arcades on the inner side, running along the walls of buildings and forming a quadrangle. In the time of Charlemagne the requirements of a separate monastic community within an extended and scattered manorial estate created this "monastery within a monastery" in the form of the locked cloister, an architectural solution allowing the monks to perform their sacred tasks apart from the distractions of laymen and servants. The cloister of Quwwat ul-Islam Mosque. It is part of the World Heritage site Qutb Minar in Delhi. Cloister of Maius College in Kraków. Cloister Facts for Kids. Kiddle Encyclopedia.